In the immediate post-Cold War world, Latin America did not ignite much diplomatic interest. Though the growth of democratic processes in formerly authoritarian countries was brusquely hailed, the region was seen as a grateful laboratory for the Washington Consensus, and not as a sphere of potential controversy. The revival of populism in Latin America has changed this framework. The region is now genuinely out of the doldrums and is the source of genuine headlines in the world press. Most of the changes are due to the stirrings promoted by well-intentioned populist figures hoping to promulgate major organic reforms. Outside observers once saw Latin American populism as hyperbolic rhetoric that might win elections and ignite occasional political ruckuses, but not as a particularly serious governing creed. Recently, however, populism has come to the fore in a new way, fueled by a desire to bring the organs of government into a genuinely closer dialogue with a disempowered and alienated citizenry. The neo-liberal prescriptions handed down from Washington in the past two decades—insisting on balanced budgets and fiscal austerity in carrying out public works or income-redistribution programs—have stoked some resentment. Latin Americans are now more vociferously seeking redress for the economic distortions and the resulting inequalities long present in their societies. The recent upsurge of populism in the region comes as a direct riposte to Washington Consensus dogma. The populist regimes now in power in Latin America—Nicaragua, Argentina, Bolivia, Ecuador, Venezuela, Chile, and Brazil—are diverse and have varying bases of support. The rural campesinos and urban laborers who account for the core of Evo Morales’s support in Bolivia differ demographically from the base behind the successful campaign of Rafael Correa in Ecuador. But all of these leaders are motivated by a desire for government to be results-oriented and as close as possible in policy and spirit to the aspirations of the governed. Though the fabled Hugo Chávez of Venezuela may sometimes comport himself in an overly emotive style reminiscent of the brimstone balcony declarations of old-style caudillos, today’s Latin American populist standard-bearers are democratically elected. They have managed to keep their eyes peeled on the social imperatives which carried them to power because they know that if they fail at improving their citizens’ living standards, they must be prepared to figuratively—sometimes even literally—end up biting the dust. In Bolivia and Ecuador, so-called populists ran on platforms dedicated to serving the goals of the poor and indigenous populations. Once in office, these leaders revoked their commitments by pleading that the requirements of the marketplace had forced them to invalidate their earlier pledges to adhere to their platforms. The electorates proceeded to unceremoniously dispose of them by means of economic blockades and work stoppages. This was true for Lucio Gutierrez in Ecuador who paid with his presidency when he broke his word with the nation’s native people. Hugo Chávez is a former military officer. Yet most of the current populist presidents come from civilian backgrounds. The dogmas of these leaders are very diverse, but today’s populists are consistent in their opposition to untrammeled free markets and are skeptical of any manifestation of US hegemony in the region. They tend to reject wholesale modernization, favor a mixed over a heavily planned economy, and are predisposed to identify with the outlook of the global South rather than the technologically-propelled major northern powers. Despite Chávez’s braggadocio and hip outbursts, populist leaders have been far from the caricature (created by populism’s detractors) of the unrestrained, wild-eyed demagogue. These detractors include the conservative-dominated media in many Latin American countries and some of the more tendentious US policy analysts and press. Close scrutiny of the various populist-style governments reveals that these leaders are far more than ranting ideologues. More often than not, they are thoughtful dreamers who want to use the state to achieve their population’s aspirations. Populists such as Evo Morales and Rafael Correa are not one-shot phenomena who quickly fade once in power; rather, they are the political heralds of a tendency popularly termed the “pink tide,” meant to signify the process by which populism has surged from one country to another. Populist movements have nurtured each other as a result of unabashed generosity, particularly that exhibited by Venezuela. Populism has started to reengineer the economic equation in those countries in which it has gained power. In recent years, neo-liberal-flavored institutions and policies—such as relentless privatization and deflationary policies—have tended to slash public sector employment as a percentage of the economy. However, the new populist governments have invariably increased public-sector spending and have not hesitated to increase the number of government jobs and expand the state’s areas of responsibility through bureaucracy as well as via a rich variety of community-based organizations. This process, rather than radical redistribution of wealth, has been the principal domestic macroeconomic multiplier used by this genre of policy makers to regularize the economy while sustaining social norms. As for economic norms, these have undeniably shifted in the past thirty years. During this period, Latin American populism has provided a significant, if ultimately limited rejoinder to the generally unhindered sweep of free-market initiatives, especially in the wake of the collapse of Soviet Communism. Populism may be considered best as a partial societal response to a world economic habitat where the free-market remains paramount but finds itself under growing challenge. Populist democracies have also innovated in international economic terms. Here, the most visible initiative has come in the area of debt reduction. Argentina’s President Kirchner’s determination not to bend to IMF-imposed conditionality was hardly welcomed by advocates of fiscal restraint. The IMF mandated the imposition of a harsh regime affecting debt servicing that would have most likely hamstrung the resilience of the country’s economy for as much as a decade. Argentina’s resistance has inspired other leaders to ask that their country’s immediate future not be sacrificed to the single-factor monetarist prescriptions of Washington and other global finance centers. One can ask, is there a new vision for restoring economic productivity at play in the region? Populism’s resilience could herald a new and different kind of era, one in which the concept is not per force a dirty word. Latin American left-leaning governments could demand a new respect from the international arena for the impressive achievements they are already recording. But how did these slow but noticeable changes come to pass? In the late 1990s, amid the confidence brought on by the worldwide preeminence of Washington’s unipolar model of globalization, Latin America duly marched in stride. At the time, the region was still taken seriously as a premium location for orthodox financial transactions. But a sensational shift would begin to take place that would affect US trade policy. This change was brought about by a de facto grassroots implementation of something akin to a Lockean Social Contract. It was increasingly obvious that IMF-mandated neo-liberal economics and the fiscal stringencies inspired by the Washington Consensus were neither eternal nor universal. However, it was also argued by many conventional global fiscal managers that at the time Latin America had no viable alternative. Bolivian activists such as Felipe Quispe and Evo Morales were seen as vendors of snake oil: even if a populist regime gained power, it eventually would go down in flames as a result of political and economic realities. These orthodox tribunes prophesied that without any viable alternative, the populist leaders would have to eventually lash themselves to a neo-liberal formula in order to survive. The White House’s pressure on the world community to endorse its effort to dislodge Saddam Hussein may have helped to compromise its gravitational pull over the region. An unexpected example in this respect is Chile, the only South American country at the time to have initialed a free-trade pact with the United States. Washington surely counted on Santiago’s congruency with its main foreign policy guideline: its unpopular sortie in Iraq. But during the UN March 2003 deliberations, Soledad Alvear, Chile’s foreign minister at the time, presented one of the strongest cases heard before the UN Security Council against the US thesis that it had the unilateral right to invade a member state for good cause. Seen for decades as well disposed to the United States, Chile’s unwillingness to back the Iraq invasion registered a pivotal shift in its behavior. Overweening US diplomacy may well have accelerated the electoral success of parties whose leaders are no longer automatically prepared to capitulate to US policy mandates. After 2003, the “pink tide” leadership came into its own. While Washington’s eyes were riveted on Iraq, a foiled coup in Venezuela and the election of new Argentine and Brazilian presidents were changing the ideological equation in Latin America. In the April 2002 coup attempt against Chávez, it seemed at first that his administration had been overthrown and that the White House could now prepare to add another “democratizing” feather to its cap. But Chávez held on and managed to survive the attempted coup, which had been bitterly nursed by a disaffected middle-class and business-led opposition. The coup itself had been kindled by an inflammatory rightist media, 85 percent of which was controlled by owners who loathed Chavez. The failed coup all but destroyed an extensive mythology that democratization was at the forefront of US policy goals for the hemisphere, since Chávez had ruled Venezuela in an entirely constitutional manner for his entire tenure in office. Thereafter, Chávez was not just a big-mouthed radical and controversial president, but quickly became the best-known exemplar of the “pink tide”—a wave of left-leaning social reformers who were being elected to office by strong majorities throughout a turbulent South America. Soon after Chávez came to power, his policies served as the inspiration for the separate agendas set up in each “pink tide” country. What united these agendas was the populist impulse—the belief that the presidency could be used to provide leadership and social justice for every corner of the nation. Luis Ignacio Lula da Silva almost won the Brazilian presidency in 1989; his initial series of defeats could be partially credited to fears that his policies, as well as his personality, would come to antagonize Washington. Lula’s election in 2002 marked a tipping point in the spread of electorally-viable populist candidates in South America. Although Lula’s populist tendencies noticeably diminished into his presidency by his surprising emphasis on monetarist economic policies and an institutional continuity in foreign policy-making, Lula still used the presidential voice to rally the citizens with calls for social justice. Argentina had traditionally been less inhibited about quarreling with a Washington-centered vision of world affairs than Brazil. When Nestor Kirchner was elected president of Argentina in April 2003, ending a kaleidoscopic series of temporary tenants of the Casa Rosada, he sent a signal to Washington that strengthening the country’s internal stability would take precedence over repaying its debt, as mandated by the IMF. 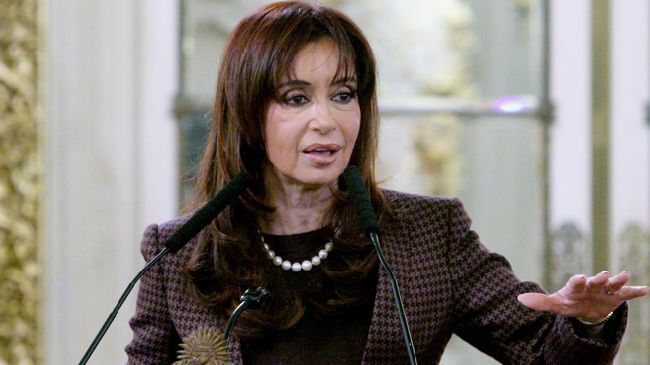 Kirchner has since strengthened relations with a host of countries in Europe, Asia, and Africa and has become an important force on the side of the world stage that does not swiftly move to accommodate itself to Washington’s desiderata. A great success of the “pink tide” was the 2006 election of coca farmer, indigenous activist, and professed socialist, Evo Morales, as president of Bolivia. Morales, who came to power in an unimpeachably democratic process, has managed so far to only barely placate his largely indigenous supporters while unsuccessfully making conciliatory gestures to the rest of the Bolivian polity. Even a clearly hostile US State Department has nominally accommodated itself to his presidency as demonstrated by the relatively lukewarm treatment he has received from the State Department through much of his tenure. But this acquiescence was coupled with a rather dire warning to the victor by Secretary of State Condoleezza Rice, who insists that she has her own definition of democracy. Even Paul Wolfowitz, attempting to rebrand himself from Iraq hawk to World Bank high-flying dove, reached out to Morales in hopes of finding common ground. Even countries that are not overtly populist are still subject to contending forces that cause them to be far from quiescent regarding US policy. The election of the Socialist Michelle Bachelet to the Chilean presidency in 2006 was an important event, although Chile is not yet considered part of the “pink tide.” But this fact cannot give comfort to those in Washington who counted on Santiago’s automatic backing. As the daughter of military officers tortured by the Pinochet dictatorship, Bachelet is not likely to be a major sword carrier for the White House. Andres Manuel Lopez Obrador’s headstrong decision to squander his moral capital in what became an increasingly ineffective populist-sponsored protest against Mexico’s last presidential election undermined his reputation. In spite of the enormous support he had mustered when he contested last year’s close election mano a mano, his support had since dwindled, while Felipe Calderon buttressed his conservative rule. 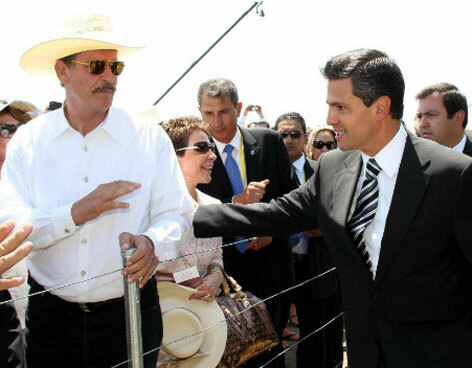 Though no occupant of Los Pinos is likely to take on the United States in a directly confrontational way, Mexico has become used to regular post-September 11 brush offs by the Bush administration and can expect more of the same under President Calderón. It is unlikely that the Bush administration’s guest workers program—affecting as many as eleven million undocumented workers in the United States—will solve the problem of illegal immigration. Therefore, the troubled border is likely to persist as a prime irritant between the United States and Mexico and can be expected to periodically invoke ringing populist outbursts from Mexico. In Peru, former President Alan Garcia, much reviled when he left office in 1990, made an unexpected return to power last year. Though, as with the returned Sandinistas in Nicaragua, his once-venerable Aprista party has shed any genuinely populist associations, even a defanged APRA cannot fully sympathize with the road to prosperity pioneered by the Washington Consensus. However, Washington has tried to woo Lima, while Ollanta Humala’s populist movement—which espoused indigenous rights—has yet to achieve the successes of some of its more articulate counterparts elsewhere on the continent. Yet the movement has been further refining its socioeconomic credo and proposed administrative system, making it into a formidable rival of Garcia, particularly if the Garcia presidency stumbles. Populism often causes Washington to distrust indigenous ideals and can turn race and culture into something of a shibboleth used to fan paranoia and a fear of change. Populism, in the eyes of the State Department and conservative Washington think tanks, has become a convenient, encapsulating slogan to depict Chávez and Morales and their school as irresponsible radicals who would not make seemly diplomatic partners. One of the key differences between the current face-off between the United States and a left-leaning segment of Latin American nations and how that relationship has been previously carried out is the absence of a Monroe Doctrine to invoke with respect to interventions by foreign powers in the hemisphere. Most recently, Soviet interest in the region, especially after the Cuban Revolution, gave US policymakers sufficient reason for Washington to play a hegemonic card. The force of this move was heightened by the irony that the Monroe Doctrine was first invoked against the Czarist Russia-led Holy Alliance, which had made rhetorical threats about re-conquering Spain’s former Latin American colonies after the colonial era had ended. The post-Cold War era experienced echoes of the Monroe Doctrine but not any systematic use of it as a guiding principle for foreign policy. With Venezuela seeking a multipolar alliance relationship with such declared or tacit opponents of the United States as Iran, China, North Korea, and Russia, the current situation is very much set for the invocation of a new and somewhat transformed round of populist-driven indictments of current US policy worldwide. Unlike Castro’s Cuba, which needed Soviet logistical and financial support to guarantee its survival, Venezuela is not a beachhead requiring constant monitoring, but a large, wealthy country situated on the South American mainland and sitting astride immense reserves of oil and natural gas – the largest in the hemisphere. What is even more difficult for Washington is that the case against Chávez cannot be made credibly, while that against the United States can. There is no dynamic of Chávez being a puppet under the control of some extra-continental power. When he deals with China, Russia, or Iran, it is entirely on equal terms. US policy initiatives directed against Chávez cannot hide behind the purported altruism of the Monroe Doctrine to disguise what some observers see as Washington hankering after continued regional hegemony. The emergence of autochthonous leaders such as Kirchner, Morales, and Ecuador’s Correa, inspired to different degrees by Chávez’s example and with unimpeachably legitimate democratic credentials of their own, renders somewhat implausible any attempt at a binary division of the hemisphere into black hats and white hats. We now see democratically elected regimes that have adopted traditional populism for the twenty-first century in a way that attracts the votes of the discontented but is also able to enact its ideological convictions in practical terms once in office. Populism has put the region back into global diplomatic play. Washington may now have to deal with more unrest than was ever expected in its own so-called backyard.